Choosing a domain name can be a daunting prospect, as there are so many possibilities. Take your time, think it through, and use the following tips to make the best choice for your new site. If you are starting a new company or launching a new product, we’d suggest checking which domains are available before finalizing the name. Ideally, you want the domain to be as close to the company/product name as possible, and it’s much easier to make adjustments if you find this out early. Your domain name can make a difference to your search ranking. Using keywords in your domain is a really good idea. For example, torontolawyer.com would likely rank better than joesmith.com for anyone searching for a lawyer in Toronto. Most of the really short (3,4,5 letter) domains are already taken, but keeping it short makes it easier to type and remember. This is especially true for email addresses. Putting yourname@yourdomainname.com is going to take up a lot of space on a business card. You are allowed up to 63 characters, but best to use as few as possible, within reason. Avoid using too many dashes, numbers and underscores. These can be helpful if the name you want is taken, but people may forget them when they try to visit your site. How will your domain sort? If you are registering domain.ca, you should check domain.com to see if this is a direct competitor. If it is, visitors may not realize if they are in the wrong place. If the site is similar to yours, you may want to choose another. You’ll also want to consider this if using dashes – where does the ‘undashed’ site take visitors? 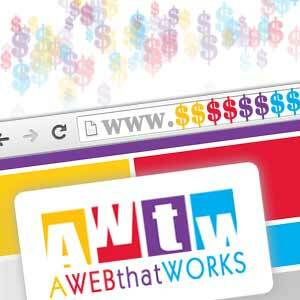 What domain extension is right for you? Consider registering multiple domains; to allow for misspellings, protect your brand, globalization purposes, search engine optimization, etc. If you are marketing to a particular geographic area, see if there is a local extension. Search engines will give these sites a boost when visitors are searching for something local. You can get a .ca domain in Canada, .it in Italy, .uk in the United Kingdom. Some of the country domains have been used to represent something else, like .fm which is really the Federated States of Micronesia, but is often used by radio stations. Some Toronto companies are using .to, from Tonga. If you are marketing internationally, .com is the favoured extension for commercial companies, and .org for organizations. Try to avoid using 4 / for / four, 2 / to / two, you / u , etc. These can make your domain harder to remember for visitors. If you are going to go this route, you’re best to reserve all the variations and point them to the site (ie. domains4u, domains4you, domainsforu, domainsforyou). Try typing in your domain name. Certain combinations of letters are harder to enter. This is especially true if the first word ends with the same letter as the second word starts with, like domainname.com. It can be a difficult market to break into, but if you have a big idea, you may want to create a brand new word especially for it (think kijiji, ebay, zune, etsy). It’s more likely to be available, so you have the market all to yourself. You can also use different domains in various marketing campaigns, and track how much traffic you’re getting through each. This is an excellent way to ensure your marketing budget is getting you the most bang for your buck. Many of the domains which are taken are for sale, or the owner may be willing to part with them for the right offer. You can always approach the current domain owner and see if they’re interested in selling. We’d suggest a soft approach to try to keep the price down – if someone from Widgets Inc. approaches the owner of widgetsinc.com, they know you’re motivated to buy. Try sending from your personal email instead, and just inquire about the possibility without being too committal. If the domain you had your heart set on isn’t available, and you can’t buy it from the current owner, you can back-order the domain. This basically puts you on a waiting list, so that if the current owner lets the domain go, you’ll be in the pool of people to receive it. There is no guarantee that you’ll get the domain, as there can be multiple back-orders, but this is a great option. Back-ordering is normally slightly more expensive than domain registration, but worth the investment if you get that perfect domain. If you need help coming up with domain names, please get in touch, and we’ll help you research and brainstorm the perfect brand for your online home, as well as registering and managing it for you. Next Next post: Pinterest introduces analytics to businesses!